Home | STATUES | Jurassic Camarasaurus Dinosaur Statue: Medium 23"
Jurassic Camarasaurus Dinosaur Statue: Medium 23"
Jurassic Camarasaurus Dinosaur Statue: Medium. 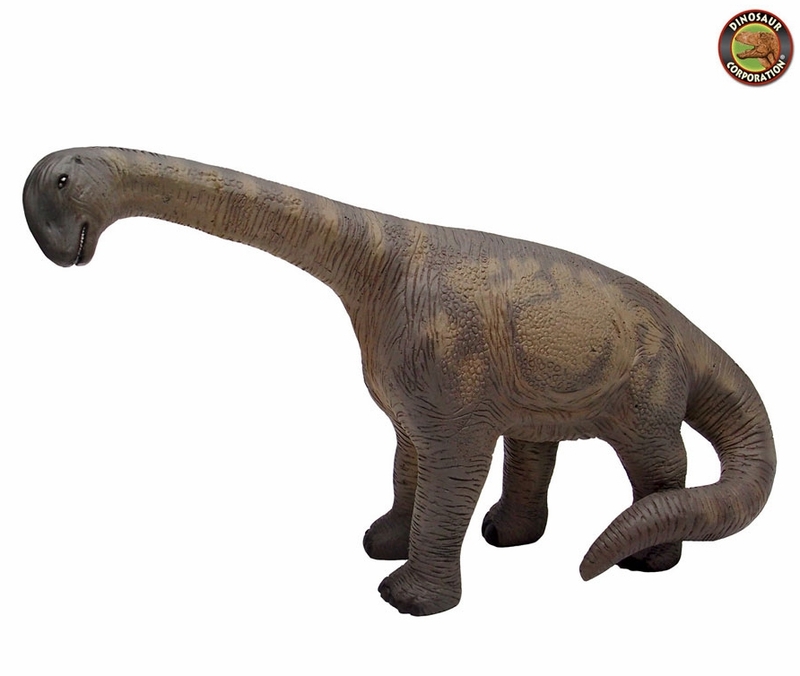 Realistically sculpted in quality designer resin with prehistoric precision, this replica Camarasaurus dinosaur sculpture easily belongs in a class all its own! Named the "chambered lizard" which refers to its head, which contained numerous large openings that probably evolved for cooling purposes. Our Camarasaurus statue echoes its heritage as one of the Jurassic world's most common herbivores (a full-grown Camarasaurus was likely a prime source of food for the hungry theropods). This breathtaking prehistoric replica dinosaur statue is cast in reinforced quality designer resin and hand-painted with powerfully convincing color and texture to be as faithful as possible to the form of its ancient species.